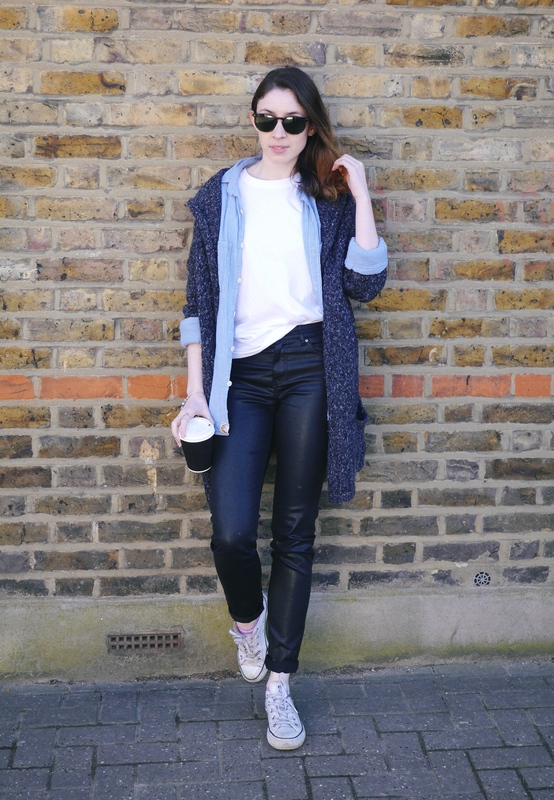 I think it’s safe to say that Spring is back in London and with it comes my Spring wardrobe. 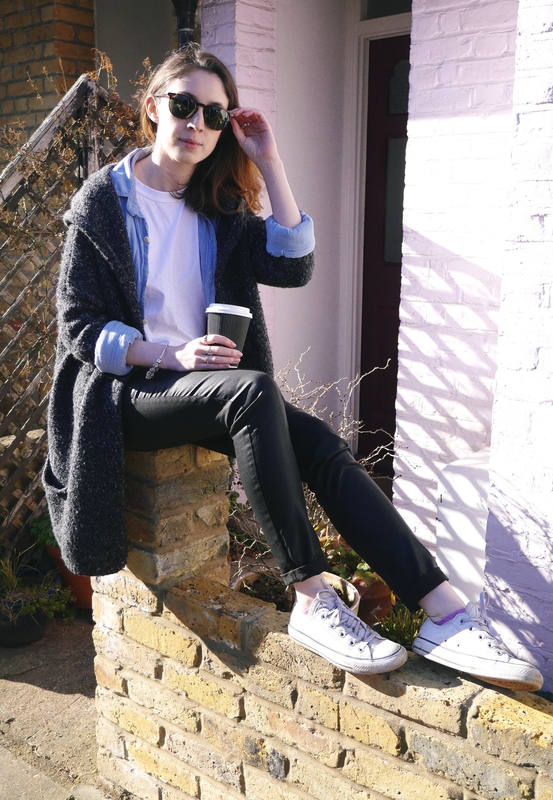 Trousers – H&M|T-Shirt – GirlvsCancer|Shirt – Ralph Lauren|Cardigan – Brandy Melville(similar)|Shoes – Converse via Office|Sunglasses – Ralph Lauren (similar). 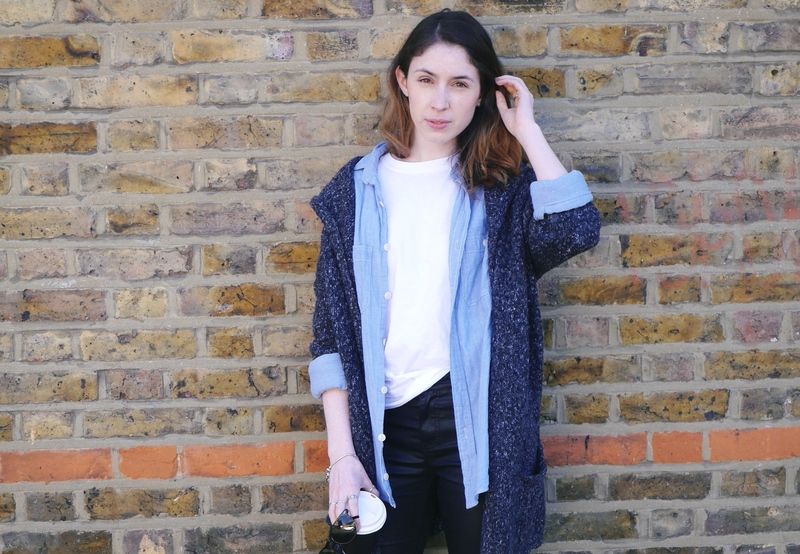 London seems to be giving Spring a second chance so the spring wardrobe has resurfaced and I am no longer finding myself buried in jumpers but opting for slightly lighter layers. 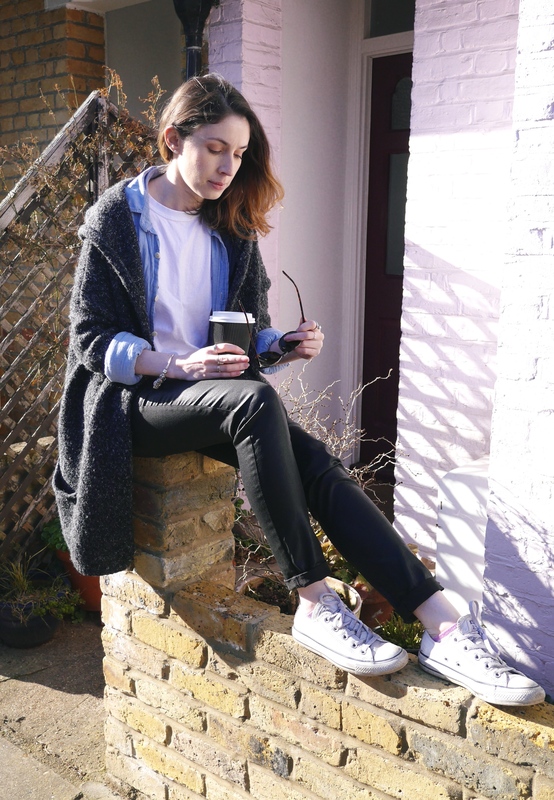 This outfit was slightly inspired by Stacey Dooley’s gorgeous style, she loves a good basic white tee and although I tend not to wear them on their own – they wash my out a little – I love them layered underneath a shirt or a jacket. 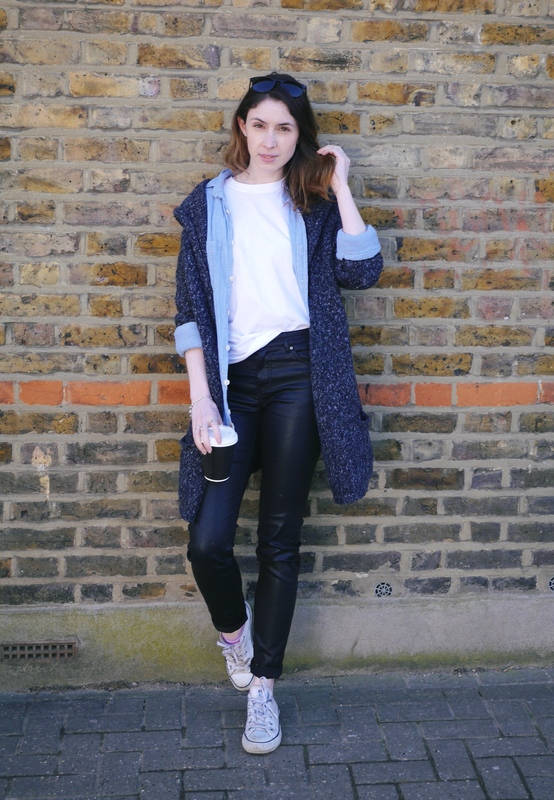 Seeing as I am currently favouring the denim shirt and I don’t think I’m brave enough to step out in double denim, I opted for my coated black jeans. My favourite thing about Spring is the urge I get to try new things. 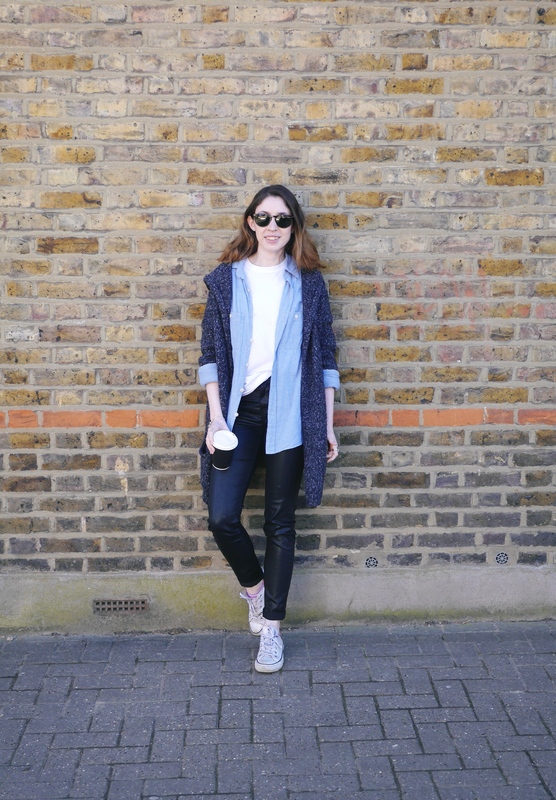 In winter I tend to get a little bogged down in jeans and three jumpers unless it’s a special occasion but as soon as we get a little glimpse of sun I’m rummaging to the back of the wardrobe to find those pieces I hadn’t thought to pair together. 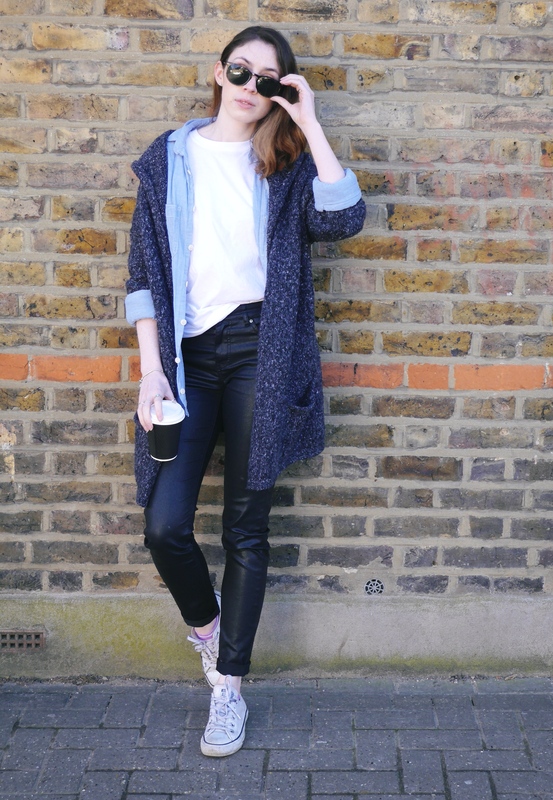 What are you looking forward to styling this spring? Very true! I fought and fought the white tee for the longest time, until I realized what a classic, amazing staple it could be to my wardrobe. Love your outfit!